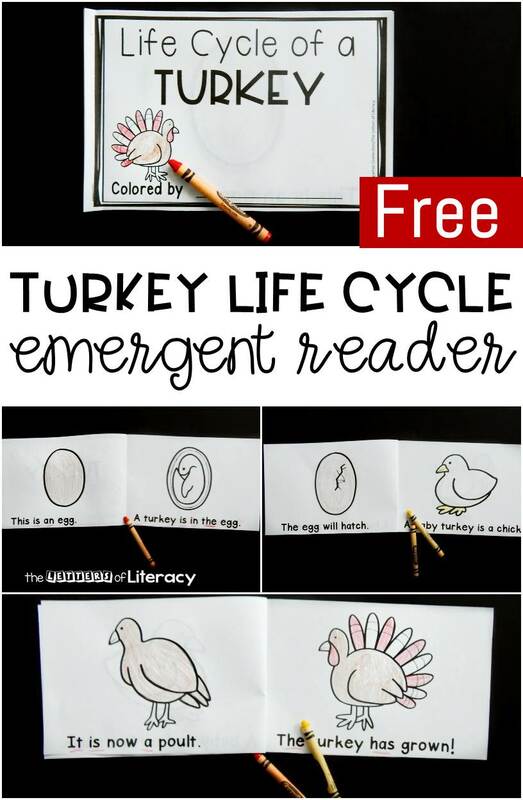 Like all of our emergent readers, this book is super simple to prepare. 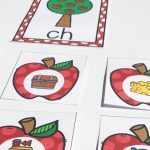 You just print one set double sided, cut in half, staple, and you have two books ready to go! 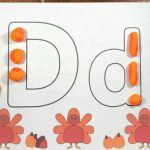 This saves some paper and lets you prep double the books at once, which is great for if you are making a class set. 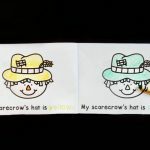 This reader is meant for kids to color as they read along, and even has a section for them to write their name on the front that says “colored by” so that they feel like quite the illustrators! 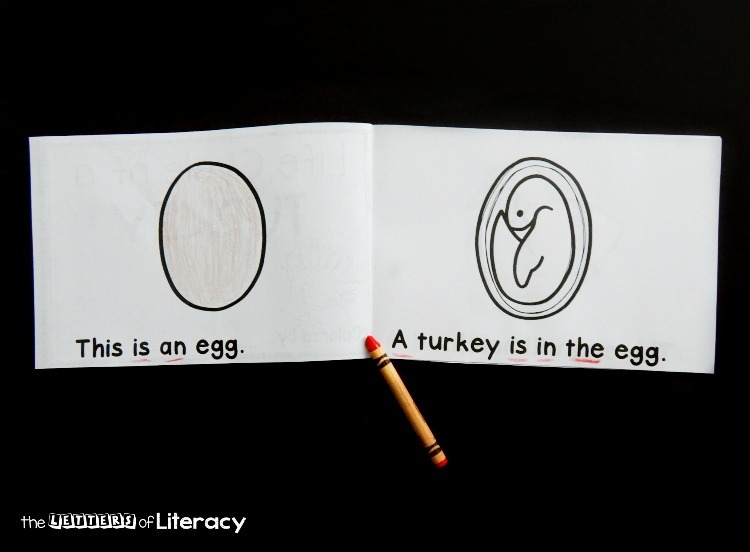 With the simple text and sight words in this book, it is great for guided reading groups or to explore together. 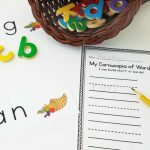 Kids may need some help with the vocabulary (there are great vocabulary words in here too!) 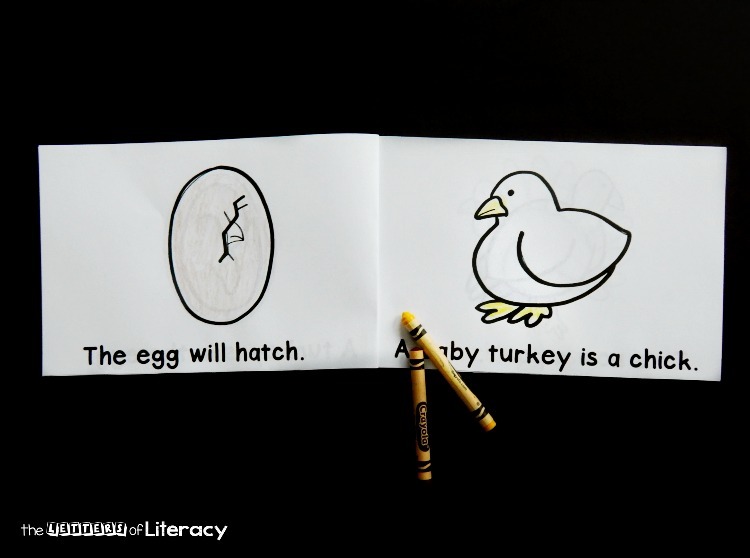 but can underline or color the sight words they know. 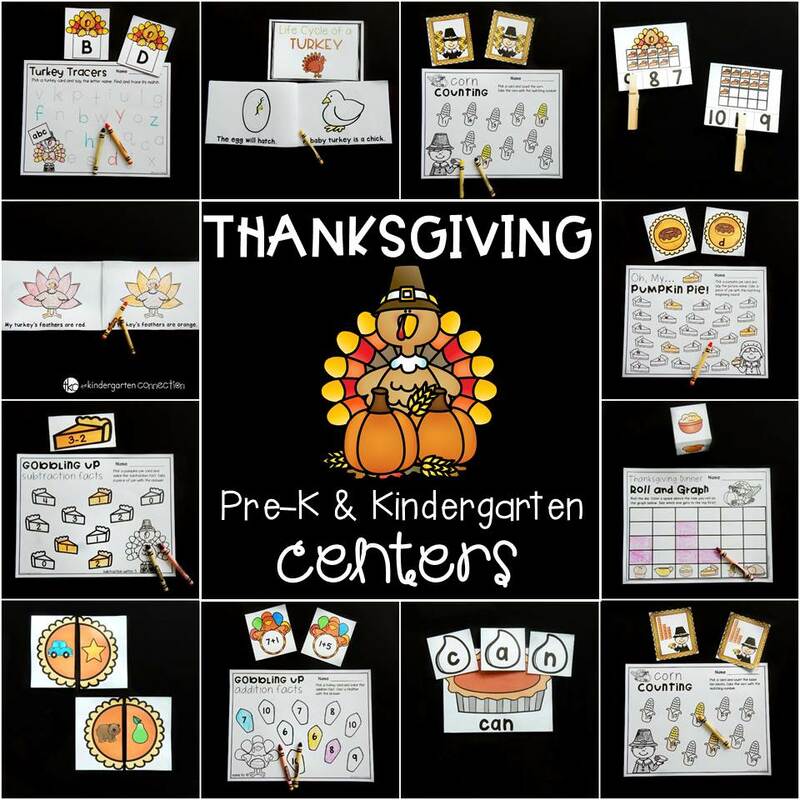 If you have our Thanksgiving centers, you have a copy both in color and black and white (among tons of other fun printables!) 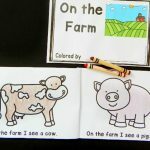 that way you can use the colored copy for your small group or circle time. 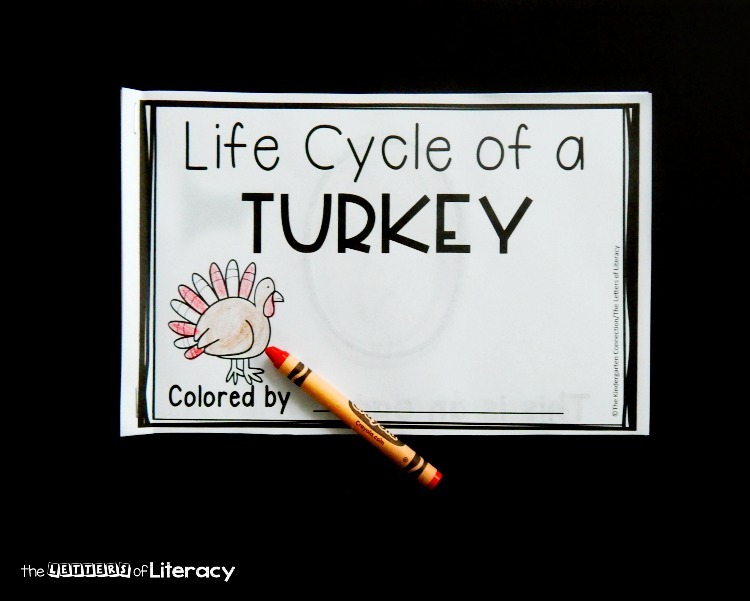 Ready to learn about the life cycle of a turkey with your kids? 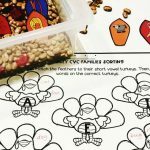 Grab some crayons and add this fun book to your lesson plans – get your copy by clicking the blue button below. 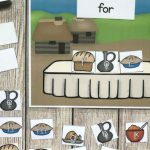 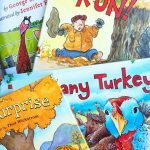 Then, if you want to snag the colored version of the book for a class reader, plus tons of other turkey and Thanksgiving fun, hop over and grab our Thanksgiving centers!